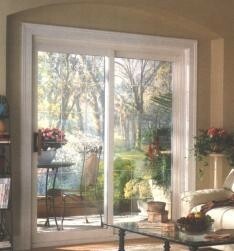 Are your windows energy efficient? – When looking for new windows, try to find products with features such as foam insulated sashes and frames, argon or krypton gas fills, and insulated glass packages. Are your windows easy to clean? – You don’t want to invest in windows that are strenuous to clean, so look for tilt-in cleaning options that will make it easy for you to keep them looking like new. Are your windows protected? – Make sure to partner with a company that feels confident enough about the long-term performance of their windows that they are willing to back them with a lifetime warranty. At ABC Seamless Home Specialists, we can outfit your Madison, WI, home with gorgeous replacement windows you will love for many years to come. They have features such as triple Low-E coating and triple glass packages for energy efficiency, and are also considered the most easy-to-function and easy-to-clean windows on the market. Furthermore, we back our windows with a lifetime transferable warranty to ensure your investment is protected. Contact ABC Seamless Home Specialists today for more information about having our replacement windows installed on your Madison, WI, area home. Thank you for the great work. The gutters and downspouts look very nice. Please feel free to use me as a reference for other customers.